Over the past week, our days have gotten increasingly harder. Clay is awake less. He is getting more confused, so when he is awake, his comments don’t always make sense. His voice is very weak, so I have to get right beside him to hear him. He hasn’t left the bedroom for weeks, and he hasn’t walked in 2 weeks. He hasn’t eaten a meal in 2 weeks. He has had some severe moments of confusion that caused frustration, which is really hard for me. He does still drink water in the mornings while he takes his medicine, but that is getting harder, too. Today was sort of a climax. Getting him to cooperate, take medicine and bathe was really difficult. The nurse was considering a catheter and a hospital bed. I am not completely opposed to this, but I don’t want it. I like to be able to sleep beside him and he’s so comfortable in our bed. Robin and Caleb had come over to bring me coffee and visit, and Caleb was able to help me and the nurse get everything done in our bed. The nurse was here for over 3 hours today helping us. Hospice has been so wonderful. I had a few melt downs. Which is ok. Sometimes I just have to cry and get it all out. The emotions start to pile up and it feels good to just cry. I came down the stairs, and found some of my favorite faces in the world….Pastor Lee, Jason Doise, Robin and Caleb. When I saw them, I just broke down. They came upstairs and prayed over us while we waited for the nurse. Clay is so loved. He hears the prayers and it helps him. After we prayed, he was able to cooperate with us and we got some really difficult tasks completed. The entire time, he was apologizing to us…saying please and thank you….he was just so sweet. That is the Lord (and maybe a little bit of medicine) but I give the glory to God for his sweet demeanor. It is who he’s always been and these circumstances have only made him sweeter. I’m so thankful. Speaking of being thankful…..some of you have asked me how I’m doing this. People sometimes say, “I don’t know how you’re making it.” This is how…. round about them that fear him, and delivereth them. for there is no want to them that fear him. This is an excerpt from a devotional that Robin gave me titled “Springs in the Valley” by Mrs. Charles E. Cowman. The book was published in 1950. David knew this truth. He was a worshipper who had a grateful heart. And, even in his despair, he always found a way to praise God. He would talk to himself when he was sad, or discouraged. And those Psalms which begin with despair, almost always end in praise back to God for His goodness, mercy, lovingkindness and unfailing love. This is the key to our survival. A grateful heart. No matter the circumstance, there is always something to be thankful for. Even in the very worst situation you could ever imagine….you could simply be thankful for salvation. But, none of us are in the worst possible situation. No matter how bleak you life may seem, you would only have to look a short time to find someone with a worse story. In our situation, I find myself giving thanks for all the provisions God has made. There are many symptoms and side effects that Clay could, and maybe should, be experiencing that he’s not. When he feels frustrated…..I think to myself that he could have woken up from surgery with an altered personality. But he didn’t. 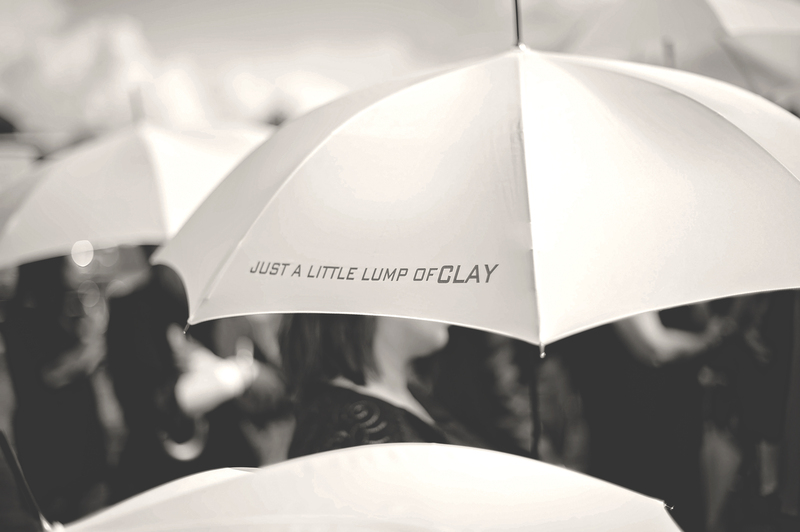 We had 16 months with Clay…the same Clay we have always loved. When he is sleeping most of the day….I give thanks for all the time that he felt well and healthy and looked so vibrant. When he is confused….I thank God for the months and months that he functioned completely normal and had time to spend with his family living life to the fullest. When his head hurts…..I praise God that he didn’t suffer for 16 months with uncontrolled pain. When he vomits…..I really thank God that I can count on my hands the number of days that he’s been throwing up from sickness related to his cancer. God has been so good to us. He has provided. Helped. Healed. Parted waters. Guided. Comforted. Every promise in His word has been proven true in our lives. Every single one. He has kept Clay and empowered him with great strength to stand in the devil’s face and laugh. He has built a testimony in Clay’s life that has changed thousands of people. He has never left us or forsaken us. And, for that, I am grateful tonight. When I want to despair, I can’t. Because God has been so good. He is so close to us because we are brokenhearted and His word promises He is near to us. You can feel His presence in our house. You can see it in Clay. You can see it in our kids. He is here, y’all. And, in His presence, there can be no fear, no despair and no hopelessness. He overcomes those things that the devil wants to use against us. I hope and pray that wherever you are tonight…no matter your circumstance…you can be protected from Satan’s seeds of discouragement by allowing God to give you a grateful heart. If you don’t feel grateful, read a few of these scriptures and let God speak to you. These scriptures were inspired by handmade cards sent to me by Diane Ruiz, my dear and precious friend. Ms. Diane, you have encouraged my heart so much and filled my thoughts with scripture. That’s all I have right now…the truth of God’s word….to keep my spirit lifted. Thank you. Your faithfulness and obedience to the Lord is so incredible and encouraging. We continue to lift your family in prayer. I truly believe that Clay played a vital role in leading my mother in law, Darlene Guillot, to Christ and for that I will be forever grateful. Mr. Jessie ask about you and Clay often. Thank you for your encouraging words and the scriptures. Your blogs always help to remind me that God will never leave us or forsake us!! The 23rd Psalm is truth for us all, but loud n your house right now. We continue to lift you and your family in prayers. Thank you for sharing the Furlow journey. I am utterly amazed at how much your words and heart has touched me through this journey you never expected to take. God knew you would take it and prepared you and your beautiful family in advance. In your darkest time God had used you both to encourage and inspire others. You each are in my constant thoughts and prayers. You are a true testament to God’s nearness and faithfulness even in the difficult times. You do not know me but I have been following yours and Clays story through Scooter Morris, a high school friend who we recently became friends on FB. Now I know why. It was Gods work for sure. To be inspired by your story for which appreciate you sharing. Many blessings and prayers for you and your family as you walk through this journey. This is so beautiful. Thank you for being a light to the world and reminding all of us how much we have to be grateful for. I have never met you but I have followed your journey through friends on Facebook. Thank you for sharing all that you have and giving glory to the Lord for His faithfulness . You have encouraged me in more ways than you can ever know. You have been used by God to help me with fears that I have and helped me to remember that we will never be alone in this life when we belong to Jesus. I’m thanking God for Clay’s continued sense of humor in spite of his illness. The image of Clay’s eyes turned towards Bill and I as his lips were formed into a little smirk of joy, his eyes bright and dancing, when he made a joke! I will always remember this momentary interaction and cherish it in my heart. Love y’all! Kristy you and Clay are in our prayers. May God continue to keep his hand upon Clay and all your family and to keep you with His peace in your hearts and minds. I have only seen one other post from you at the beginning when Clay had his surgery and found out nothing else could be done. I wish I could have seen all of them. I’m not sure why I couldn’t but I want to keep up with your posts. I worked with Clay at the bank and was so sad to hear about his cancer.. You touch my heart with your posts and inspire me so. God bless Clay, you and your precious family. You do not know me. I was led to your blog by friends in Baton Rouge. Please know that your faith has touched me and grown me more than any other conference, Bible study or sermon ever has. You are absolutely not going through this experience in vain. You are reaching so many people with the Love and care of Jesus. I pray for you and your family each and every day. Every time I have a moment of weakness or a fear that I am facing, I truly think of Clay and your family. You have changed me, and for that I will always be grateful. Thank you for your words. They led me to a much needed prayer of forgiveness for the way I’ve handled a current situation and heart of gratefulness in the midst of it all. Thank you Jesus for leading me to this blog and these scriptures.